Indie Retro News: OUTLANDS 100% - Scoopex cracks and fixes a 1980's Amiga Shooter! OUTLANDS 100% - Scoopex cracks and fixes a 1980's Amiga Shooter! We've just been contacted by our good friend Earok, that Galahad/FLT has re-released the 1989 shooter 'Outlands' as a 100% crack and fixed release through one of the finest sceners of our generation, Scoopex. This game is a top scrolling shoot em up published by Pandora and was your typical game of the genre featuring enemy waves to be destroyed, weapons upgrades and powerups and bosses at the end of a level. 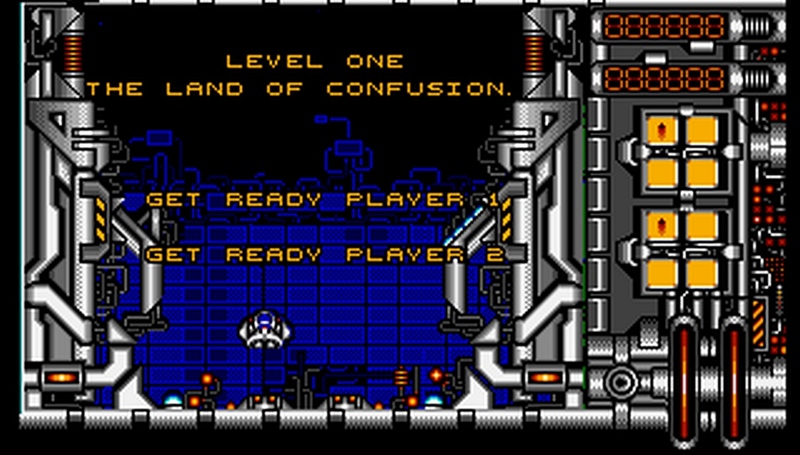 Although the game did feature a two player mode, which made the game much more fun. Now some of you will probably remember the game known as Heavy Metal Heroes released by Players, well that game was a re-release of Outlands, which came under a budget label. Although according to Earok, even if it was a re-release it didn't have the splash screen, contained an original ST palette ( Amiga version was in Outlands ), and Outlands was released on two disks whereas Heavy Metal Heroes was one. But in regards to the all important release we have today by Galahad/Scoopex, he has cracked and one disked the game, made sure the completion works as it should, and more importantly as he directly states " the disk system has been entirely replaced, nasty horrible Atari ST loader, took forever to load anything, also redid the entire game complete sequence and single filed the entire thing as it took a ridiculous amount of time to load up, and now ripped and compressed to one disk."